The SMART3 NC gas detectors represent a non certified version of the SMART3G line and are ideal for non classified areas and car parks. They employ high quality catalytic sensors, electrochemical cells or infrared sensors, that grant an excellent linearity and accuracy, besides an estimated lifetime of 4 years. The SMART 3NC gas detectors provide a proportional 4-20mA output signal. By employing optional boards they can either communicate on a serial bus RS 485 or provide relay outputs. - 4-20 mA. Proportional 4-20mA output current corresponding to the full range (LEL or ppm). - Relay. By adding the STS3REL board, the unit is provided with 3 relays with voltage free changeover contacts. One relay is dedicated to the Fault and Watch-dog, while the remaining two relays can be associated to two out of the three available alarm thresholds. The SMART3 NC detectors offer a fast and failsafe installation as well as an easy maintenance and calibration routine via the handheld keypad STS/CKD. 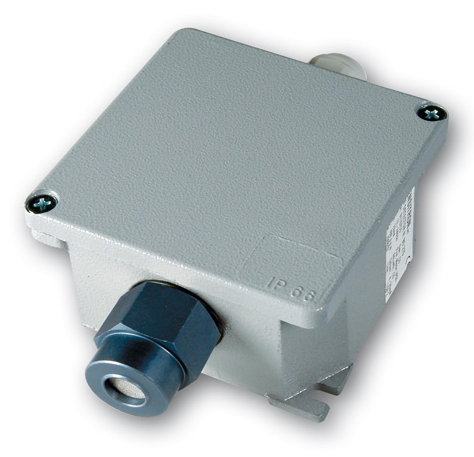 The SMART3 NC gas detectors run with a power supply at 12-24Vd and are available in IP55 rated enclosure.